Caution: This slide show contains some nudes, so be aware of that before you view or let your kids view. Today's treat is a video of the birth of a rare massai giraffe! Those lazy, hazy, crazy days of summer! School finally done for the year... or not! As I reached the ends of my 36-week Daily Lesson Plans for 6th Grade, I truly, this year, did not want to waste our summer. 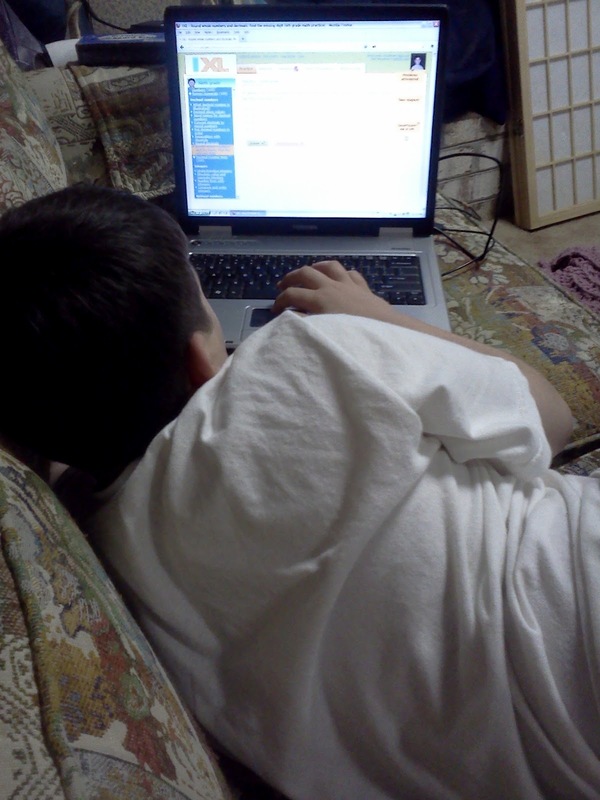 I informed my son, he would do fifteen minutes of math each day on an online website. He groaned, but understood. 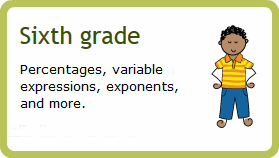 I was very pleased when I learned I had been chosen to review IXL Math. This is a perfect fit for what I need: a program that I can use right now, immediately, to keep his math facts sharp, and a program that I can continue to use for the entire school year to help him understand the math concepts we will be learning this upcoming school year. 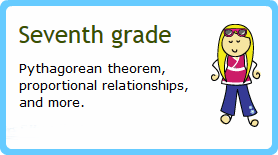 IXL Math has links for students to do math work at levels from K to Algebra, and Geometry, Trigonometry, and other advanced topics are on their way! 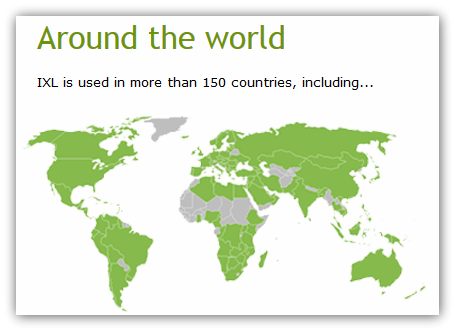 IXL Math is currently used in 180 countries around the world! IXL Math has links to state standards, so that you can see your state's standards and see how IXL Math supports and reinforces these standards. IXL automatically tracks student progress and displays proficiency scores in the state standards reports. 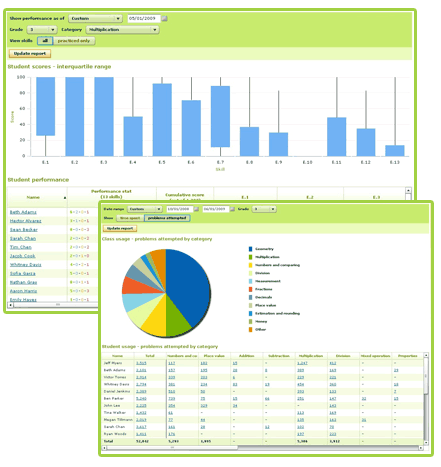 These reports allow you to quickly evaluate student aptitude and identify trouble spots. I clicked on the link for my state, for my son's grade level just completed (here), and was amazed at the list of standards IXL is reinforcing and tracking on my son. IXL sends me a weekly report on how my son is doing. In addition, I can log into the website (as me, the parent), and access more detailed reports, to see exactly when my son worked, how long, what grade level, what math operations, etc. I only had one student, but families with multiple students receive a family report. 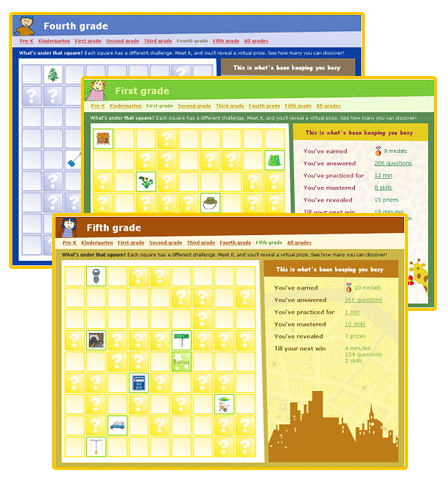 IXL Math has beautiful colorful pages that catch the eyes of the children and hold their attention. The program adapts the questions to your child's abilities, based on how they are responding to the questions they are being asked. IXL Math provides audio for the early learners (through first grade). As I checked out the report on the website, I had to wade around a bit to understand how my son was doing. Like any program, there is a little learning curve. I learned that initially he was not actually doing the fifteen minutes a day, but that as time has gone by, his usage has increased without my even requiring him to work longer. That tells me that, 1) this site is now "familiar" for him and not "new", so he's not fighting me over it any more, and 2) he actually likes it, because even if something is familiar to him, he will resist doing it if he doesn't like it. I'm pleased about that. I really liked using IXL to help my son see where he was getting things wrong. He had a particularly difficult time when it came to writing numbers out in word form. He didn’t know here to hyphenate, where to put commas, etc. After he got some problems wrong and I explained to him why his answers were wrong, he quickly adapted and began to answer correctly. It was wonderful. In our book work this year, when he would get a problem wrong, even if I showed him how to do it correctly he would sort of shrug, and continue to get the same things wrong again and again. Using IXL, he seemed highly motivated to answer correctly just to get to that screen-shot that would say “Correct!” with a green check mark! It was wonderful! He sometimes gets frustrated when he doesn't understand they way the question is being presented, and being stubborn he does not click on the button that will give him an explanation. I will continue to work on this, because the whole concept of having the student click on the button to get the explanation is one of the huge benefits of this programs. Today, as I was sitting with him, he was working on decimals, and as I watched him get one wrong, I could see what he was not understanding. As soon as I explained it to him, he immediately started getting the rest of the answers correct, and he was pleased. He benefits a great deal from knowing immediately if his answer is right or wrong, and from having the explanation immediately if he got it wrong. Our daily math program in 6th grade he did not have that benefit. (I can't even tell you how many of his papers have never even been checked.... ::sigh::) Then he received several virtual awards, and he was very pleased with himself! My son has not done well, consistently, with programs like this one that I hoped he could work with and benefit from, so I am very pleased with how well he is doing with IXL. The cost of IXL Math is graduated, based on what you want and need for your family. This program is also used by schools, so click HERE to see information about that as well. This program does not require any teacher prep. Your student can work on any level they want to, or you can direct them to work on the level that you know is where they should be. I like the immediate and exacting correction of my son’s answers. He is benefiting from the quick feedback and adjustments and explanations. I like the virtual awards. I like the way the immediate feedback and awards really energize my son to do more, work hard, and learn well. What I don’t like – has nothing to do with this company. I don’t like that we live in a culture where using the Internet is unsafe and requires such parental vigilance. ::sigh:: With every good thing there are also disadvantages. My JD likes this one, and he hates everything! I received a six-month subscription to IXL Math in exchange for my review. My opinions are my own and are sincere. This review brought to you by The Schoolhouse Review Crew. Let me know what you think! Leave me a comment! To see more reviews by the Crew, click HERE! In Which we Try to End Strong! I have been scurrying for a couple of weeks, trying to end when I had planned (tomorrow). The hurrier I go, the behinder I get! My mind has been somewhat fogged, anyway, because my step-sister, who lives with us, has been ill. It appears she may have been sitting on symptoms for years, and waited until it is too late-- it is looking like stage IV breast cancer. I will find out Friday. In the meantime, some of the subjects have been sliding. In April, I had tax issues, and my subjects that slide when I don't have time, slid... That would be nature study, artist study, and composer study. Some nature study DID get done, and I even took photos, but I haven't had time to blog about it. So, blogging has slid as well. I've kept up with my reviews, but little else. So, here is our current effort at our home school before we can end for the summer. In addition, we have begun the Apologia study of the series, "What We Believe", book 3, Who is my Neighbor. He is doing this grudgingly, but today, when he saw the word search in the journal, continued to growl (with a smile tugging at the corners of his mouth), and left his Legos and disappeared to work on it. He loves word searches! This year we have been working on Horizon's 6. We almost finished early, and then let the last six lessons slide, and now are scurrying to finish up. After I go over something JD needs help with, I think we are done. I think he actually already did the final test. We are also doing (almost) daily work with IXL.com to cement facts. He also previously was using AdaptedMind.com (I had a free 30-day trial), which he really liked, and he was not happy when I switched him from that to IXL. He doesn't do well with change. We have actually finished all of our history assignments for the year. We have just finished AmblesideOnline.org Year 5, Term 1. My son has been regularly working on a Daily Grammar book, a handwriting book, and we have done writing assignments here and there. I didn't do much to work on his spelling -- he's always above grade-level on that one, so I let it slide for the time being. Each day we finish more of our books that we have been reading from Ambleside. We finished Of Courage Undaunted, by Daugherty,last week, as well as our Isaac Newton Biography. Some of our "reads" fall under "Free Reads" instead of "Literature" by the AO schedule, but it is all the same to me. Left in our bin we are working on Little Britches, by Ralph Moody, The Little White Horse, by Goudge, and On the Back of the North Wind, by George MacDonald. I think we won't finish Little Britches today, but we should be finishing the other two. I think we are behind the AO schedule on our reading of The Book of Marvels. I'm not sure if I will continue to work on it this summer, or just squeek it into our schedule in the fall. Our last reading was about a French citadel called Carcassonne, which we really enjoyed reading about due to our love of a game by the same name that was apparently based on the place, made by a European country. We ignorant Americans had had no idea it was an actual place! So, Art, Music, Physical Education, Health... I wish I had more to put down for my review, but hopefully our reviewer will be content that we did enough to be marked "Compliant" for our state's requirements. So, that's it for now. Need to get off and get on with my day. Thanks for reading.